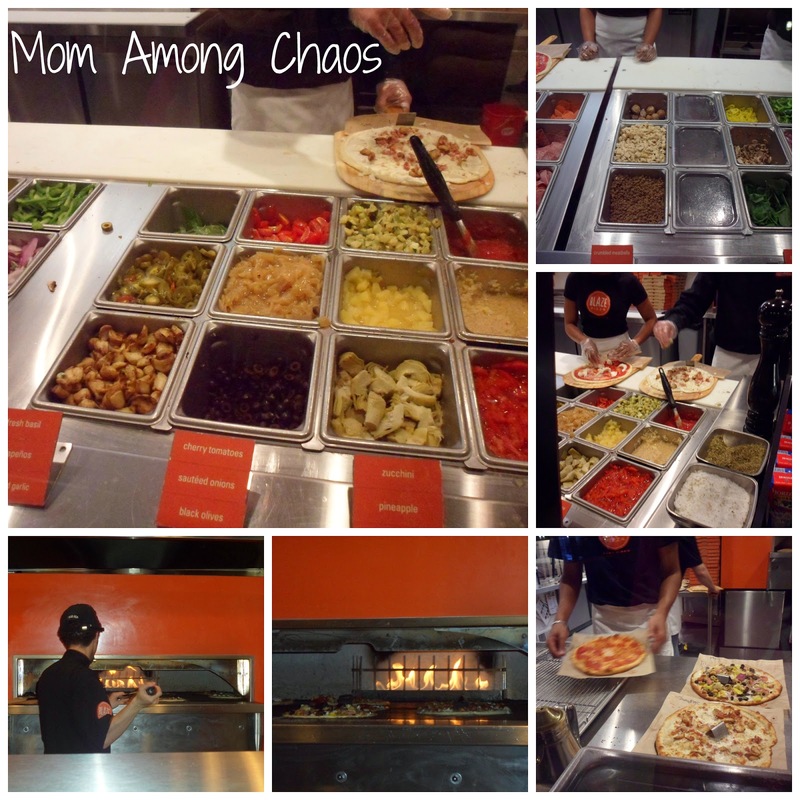 Last week I went to a fun blogger event at Blaze Pizza in Royal Oak, MI. It was planned by Amber from Metro Detroit Mommy. 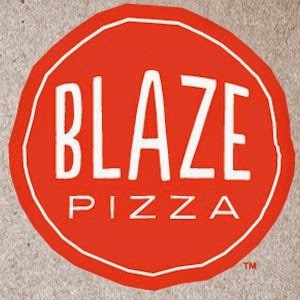 Blaze Pizza is new to our area, opening last October. They also have a location in Novi and soon to be one in Kalamazoo. Fast-fire'd & build your own pizza are new to me. I decided to try a white top pizza (white cream sauce with mozzarella, applewood bacon, chopped garlic, oregano, arugula) & Caesar salad. 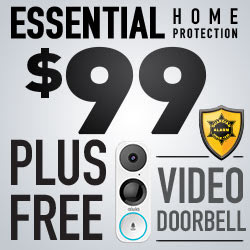 Don't miss out on trying the signature dessert, s'more pie, and get it heated up in the oven. You can see the whole menu HERE. They even offer gluten-free dough and vegan options. They have a topping bar just like you would see at a sandwich shop or a fast food mexican restaurant. They asked me if I wanted roasted or chopped garlic and if I wanted arugula lettuce on top after it was cooked. Then I requested oil on top. They cook all of the pizzas in a big oven dome which is heated to 600F-900F, so they do cook quickly. Even with all of us there, we were eating in record time. This makes it a great place to eat lunch or a quick dinner before heading to the movies. I also tried the veggie pizza & a s'mores dessert pizza that they specially made for us. Everything was wonderful with a perfectly crisp crust & fresh toppings. The great thing about one of these pizzas is it's big enough to split with someone or you can have leftovers for yourself. It tastes just as good reheated in the oven the next day. Another thing I like about this company is that almost all of its packaging is made in the USA from post-consumer recycled and/or sustainable materials. The awesome team at Blaze Pizza gave us a blaze hat & reusable bag. My teen son has already claimed the hat. I plan to take my family back. Half of my crew only like pepperoni & cheese pizza, but some of us like to try something new and different. Tell us in the comments, How do you Blaze? What is your favorite type of pizza? *Disclosure: Mom Among Chaos was given free items to facilitate this review. No other compensation was given. Opinions are 100% our own. Full policy here.